Budget airlines are a great way to get around in Spain and Vueling is their most popular Spanish budget airline although there are also plenty of RyanAir, EasyJet and Iberia Express flights as well. Simply use your favorite flight search engine to find the cheapest flight. Spain’s railway is also quite developed and a more fun way of getting around. Check out the Renfe website to get around to all the major cities. Note that the AVE is Spain’s high speed train which will get you to your destination faster but at a higher cost. Getting around by bus is also a more affordable option and ALSA is the largest and most popular bus company in Spain. Barcelona and Ibiza are easily two of Spain’s most visited cities by foreigners, and with good reason. 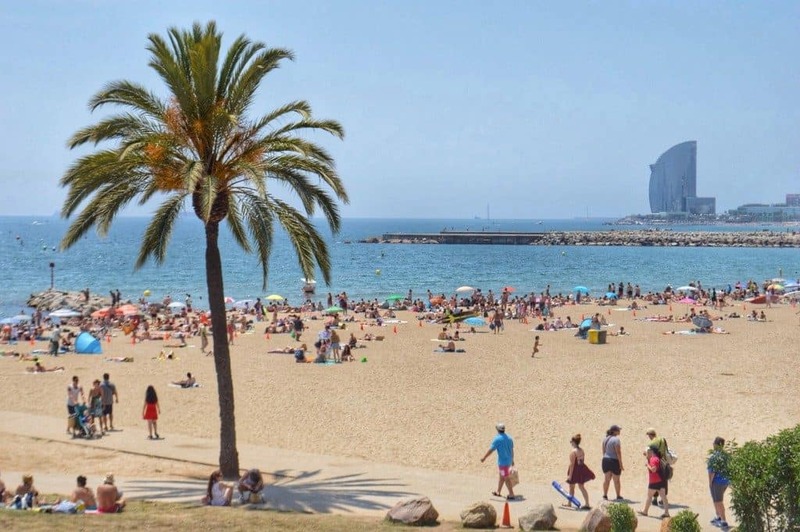 Barcelona is a great city for a mix of beach and city life while Ibiza is all about the beach and party life. 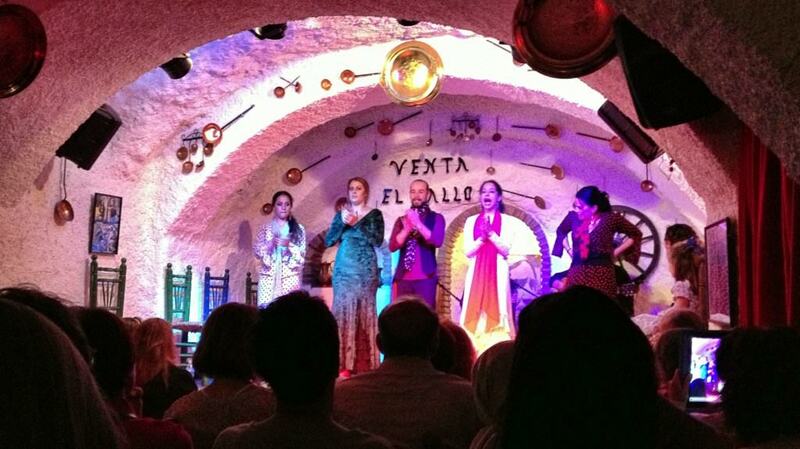 But Spain is a very diverse country and has a lot more to offer outside these destinations. For beach seekers, the other Balearic islands of Mallorca and Menorca are great options, especially the island of Formentera. For those that love city life, the capital of Madrid is great option with world renowned art museums and amazing nightlife. Travelers wanting to immerse themselves in traditional Spanish culture will probably enjoy Andalusia in the south the most. The outdoorsy types may want to consider the north of Spain exploring the Pyrenees mountains. No matter what kind of Spanish trip you’re looking for, you’re bound to find the region that best suites you. 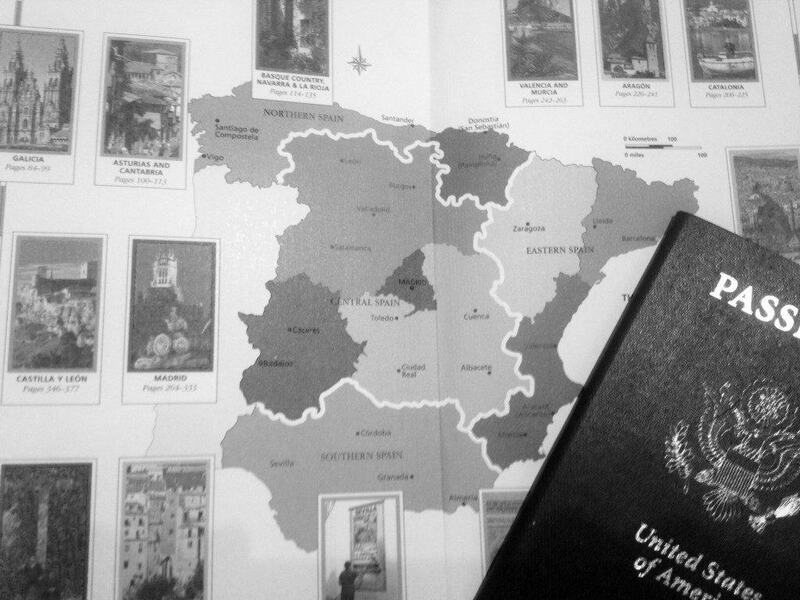 Before you even open up that Lonely Planet guidebook to Spain, you should first determine if you’ll need a visa to visit Spain. Americans and Canadians for example need not apply for one as they get an automatic 90 day tourist visa (within a six month period) upon entering the Schengen zone of Europe of which Spain is apart of. You can check out the website of the nearest Spanish consulate for a list of countries that require visas. Note that processing times will take at least a couple weeks. One of the most common things travelers to Spain look forward to trying is paella. While it’s incredibly easy to find all around Spain, you may want to think twice before sitting down at the first place that catches your eye. Like any place you travel, it’s best to avoid dining in the most touristic areas as they tend to have some of the worst and overpriced food. A good trick to finding a quality restaurant is to see if they have a menu in English. If so, you may want to reconsider eating there as it’s obviously quite touristy. Restaurants that only have menus in Spanish are a safer bet but come with the added challenge of ordering your food in Spanish. Also note that a dish like paella is actually from the Valencian region of Spain and best ordered when visiting there. Airbnb has become very popular in Spain and is a great option when looking for accommodations. misterb&b is a little less common, but still an option for gay travelers. However, for a more unique stay you can check out Casas Rurales to find a place to stay outside the city in a rural and more rustic area. Another is staying in a parador which is usually a historic building like a monastery or castle converted into a nice hotel. Spain has an innumerable amount of annual events as Spaniards are always looking for reason to get together to socialize and celebrate. 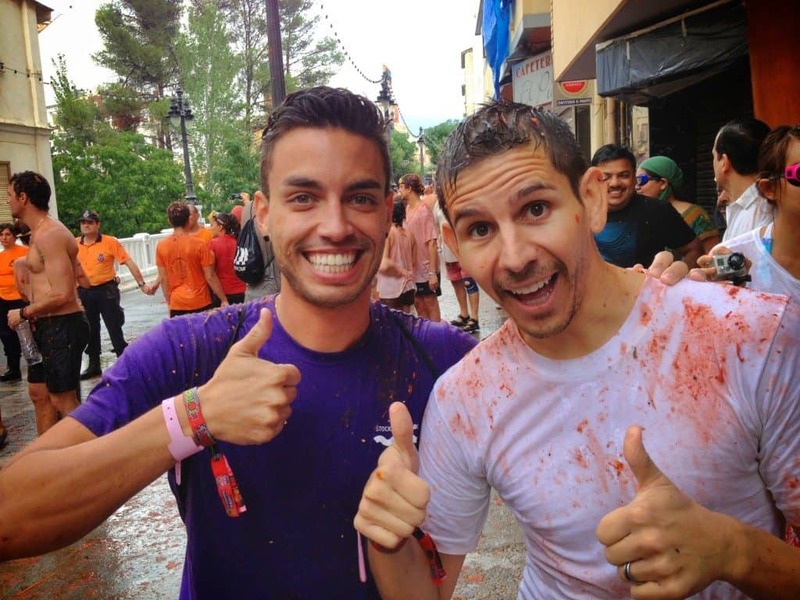 Some of the most popular one for all travelers are the running of the bulls, La Tomatina, and Las Fallas in Valencia, However, more LGBT-focused events include many different prides of course. 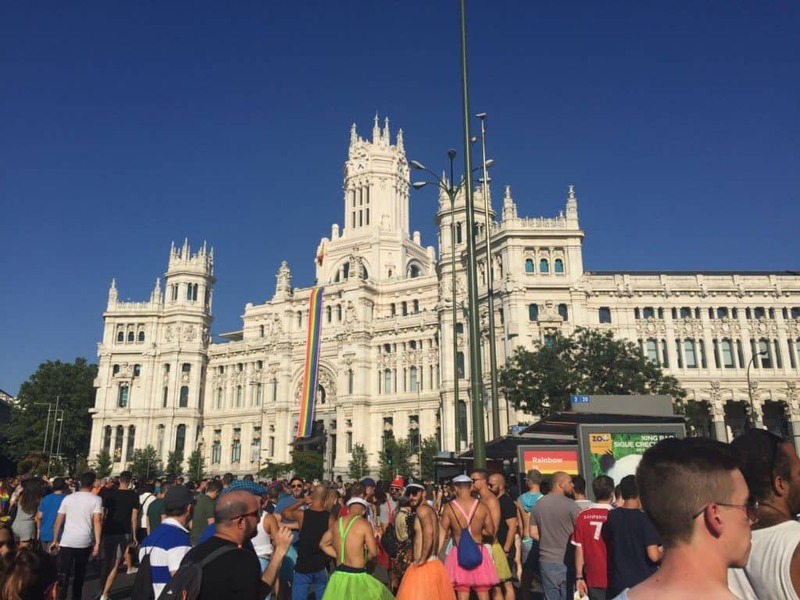 Madrid Pride is the largest gay pride in Europe and an incredible event to attend whether you’re gay or straight. It takes place the first weekend of July and Madrid will be the host of World Pride in 2017 making it even more of a not-to-be-missed event. Circuit is also one of the largest gay events taking place in Spain every year and is held in Barcelona, Ibiza and Maspalomas. Carnival in Sitges, Cadiz and Tenerife are other events that attract thousands of people each year to some of the best spots in Spain. Depending on the destination, avoiding the typical travel months of summer may be ideal. Barcelona, for example, can be crazy packed with tourists in the summer making the spring and fall better times to go. However, a destination like Ibiza can be dead outside the summer months which may defeat the purpose if you’re looking to enjoy the beach or club scene. Thanks to Spain’s Mediterranean climate, winter is also a great time to visit many parts of Spain. Southern Spain can be unbearably hot in July and August, but in the winter temperatures don’t really go below a moderate jacket level and it really only snows in parts of the north. The Canary Islands are great to visit year round with their temperatures rarely fluctuating. Educating yourself a bit before your trip to Spain could help you avoid accidentally offending a local and can improve your entire experience overall. As mentioned at the start of this article, know that many regions of Spain have their own historical languages although all speak Spanish. Some regions of Spain like the Basque Country and Catalonia have portions of the population who want independence from Spain so being culturally sensitive to that involves acknowledging locals as Basques or Catalans before Spaniards. Political opinions on independence are strong throughout Spain so tread lightly before engaging in a conversation about it. Note also that while the running of the bulls or Fiesta de San Fermin is very popular for tourists, many Spaniards and activists are against this event and bullfights for its treatment of the animals. Another thing to be aware of is that while things like paella and flamenco are Spanish things, they’re regional and not representative of the nation as a whole. Paella is from the eastern region of Valencia and Flamenco is from the southern region of Andalusia. So keep your eyes and ears open to learning about the things that make whatever region of Spain you visit unique. They’re surely have their own cuisine and traditions that make it special. When visiting Spain, there are some things to consider that are the same for most Western European countries. For example, don’t make the rookie mistake of forgetting to pack an outlet converter. Wifi is abundant in Spain making the need for cell phone service almost obsolete. However, there are plenty of cell phone providers offering prepaid plans if you want coverage everywhere you go. Big cities like Barcelona and Madrid are very safe, but pickpockets are abundant so keep a keen eye when exploring. Travel insurance is almost always a good purchase to cover for canceled flights, medical emergencies, stolen items or damaged belongings. Lastly, if you’re going to buy things while traveling, be sure to save room for souvenirs in your bag before sitting on your suitcase in order to zip it up. Another option is to have an extra duffle bag handy and ready to be filled up for your return with your plentiful bounty of momentos. 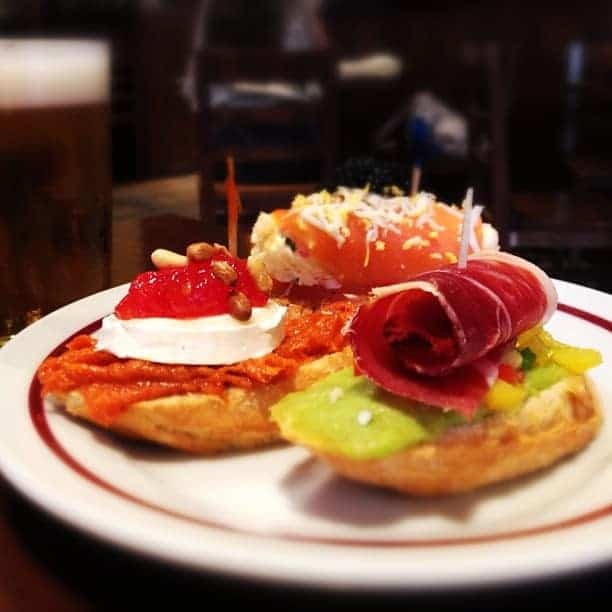 What tip do you have for planning a trip to Spain? I went to Barcelone in 2014 it was so much fun. I came back before expiry of my visa. I reapplied in 2016. They refused my application with three lame reasons. “Weak ties with your country”, “you may not go baxk to your country”. If you rent a car in Spain it is one of the countries were an International Driving Permit is required. See below along with other info about traffic laws in Spai on State Dept website. It is illegal to rent a vehicle if you don’t have an International Driving Permit. Your rental car may be impounded and you will be required to pay a fine if stopped. If you are stopped by the Spanish National Police or the Guardia Civil, they may levy fines on the spot and issue a receipt for payment. This ensures that the fine is paid by a foreigner who may not return to Spain to pay the fine.